Analysis: Now that the legal process has wrapped up, the league office is expected to evaluate Herndon's situation and levy appropriate punishment within the next few months. While the NFL typically looks into off-field incidents such as these on a case-by-case basis, the precedent established for first offenders like Herndon facing similar charges usually results in a two-game ban. 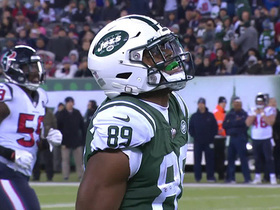 Analysis: Though he ended his first NFL year with a whimper, Herndon gave Jets fans plenty of reason for optimism after years of ineptitude at the tight end position. The rookie fourth-rounder out of Miami put together a three-game touchdown streak at one point and could push for TE1 status in standard fantasy leagues as soon as next season if he further develops his chemistry with quarterback Sam Darnold. Analysis: Herndon recorded a new career high in receiving yards, and his productive outing included a five-yard touchdown in the third quarter. The entire Jets offense has trended up in recent weeks with quarterback Sam Darnold developing, and that includes the rookie tight end. Herndon has 38 catches for 494 yards and four touchdowns heading into New York's Week 17 clash with the Patriots. Analysis: Herndon exceeded his production from the previous two games combined but remains without a touchdown since Week 8. Reserve tight ends Jordan Leggett and Eric Tomlinson saw one target apiece as Herndon continues to top the group. The rookie fourth-round pick has shown flashes this season but is difficult to rely upon for fantasy due to the inconsistency. 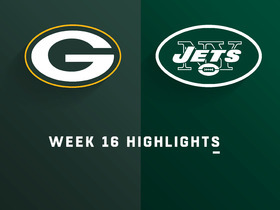 The Jets have a more favorable matchup Week 16 as they are set to host the Packers. Analysis: This was Herndon's worst performance since Week 5. The rookie tight end out of Miami has a bright fantasy future, but owners counting on him in the fantasy playoffs this season should do so at their own risk. He'll look to bounce back against the Texans in Week 15. Herndon caught two of six targets for 31 yards in Sunday's 26-22 loss to Tennessee. 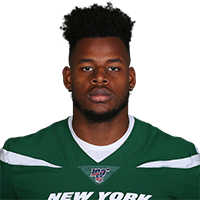 Analysis: Herndon finished second to Robby Anderson (48) in receiving yardage, as quarterback Josh McCown threw for just 128 yards. 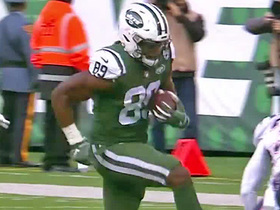 The rookie tight end has emerged as perhaps the most consistent receiving option in New York's underwhelming passing game, so he should have some appeal in deeper formats when his team travels to Buffalo in Week 14. 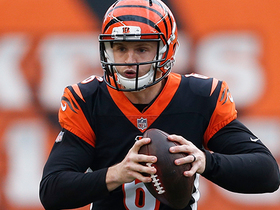 Herndon caught seven of eight targets for 57 yards in Sunday's 27-13 loss to New England. Analysis: Herndon has turned into a nice receiving weapon for the Jets, either exceeding 50 yards or scoring a touchdown in five of the past six games. Dynasty league owners probably picked up his scent long ago, but Herndon could be an important piece for the fantasy playoffs in redraft leagues as well. Up next for the rookie tight end is a Week 13 date with the Titans. 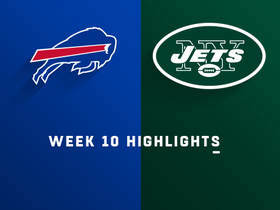 Herndon caught three of four targets for a team-high 34 yards in Sunday's 41-10 loss to the Bills. 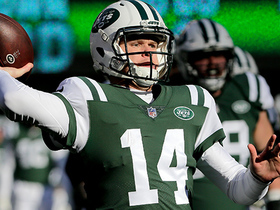 Analysis: As you probably gathered from the information above, this was another ugly afternoon for New York's passing game, this time led by Josh McCown under center with Sam Darnold out due to a foot injury. Despite the dysfunction around him, Herndon continues to show flashes of potential as a rookie. Herndon caught all four of his targets for a team-high 62 yards in Sunday's 13-6 loss to the Dolphins. 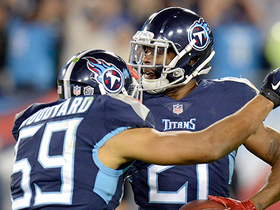 Analysis: Herndon saw his three-game touchdown streak come to a close, but he still produced a positive result with a new career high in receiving yards. 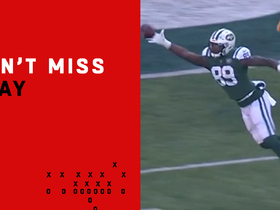 While rookie quarterback Sam Darnold seems to have stalled over the past few weeks, New York's rookie tight end continues to develop. Herndon will look to build on this performance when the Bills come to town in Week 10. New York Jets tight end Chris Herndon hauls in third-down catch between defenders. 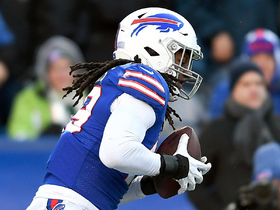 Buffalo Bills linebacker Tremaine Edmunds records first-career INT on New York Jets quarterback Sam Darnold. New York Jets tight end Chris Herndon catches pass from quarterback Josh McCown for a solid 21-yard gain.